For my 2nd Elizabeth & Clarke seasonal box, I actually chose all short-sleeved tops. As I explained in the fall, these are all black, white, and sometimes grey basics send to you for $60 (three shirts) on a quarterly basis. I have been wearing one of my three tops from my previous box pretty consistently (and currently battling a stain on the beloved comfy top), but not the other two. So I decided I would only keep from this box the pieces I absolutely loved. 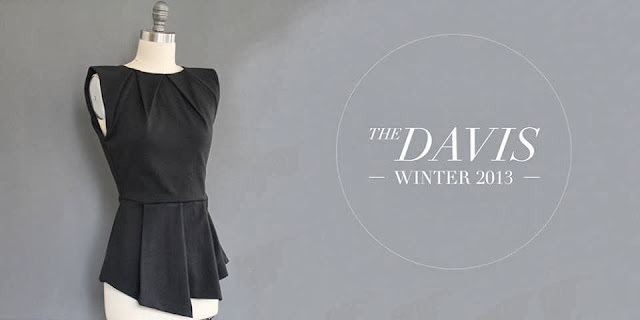 Lucky for me, the ponte Davis top was a peplum dream. I put it on and loved it, but then realized it was super "different" from other tops I have. I ran to find Dan and get his opinion. He loved it too, so I knew it was a keeper for when I'm feeling fashion-forward and cool. The other two shirts just weren't the right fit for me or my style, so I decided to return them and exchange them for shirts from a previous collection that I missed. I have also decided to try one more box to see how I do with the Spring Collection. Fingers crossed it's worth the investment as part of my clothing budget! Oh, I bet you could pull it off! I see it as a fierce professional piece, with skinny jeans and under a blazer, or even over a bright pencil skirt like a faux peplum dress. Corporate diva!